This Developer Resource Center outlines the Android SDK, iOS SDK and Unity Plugins allowing yoy to track installations, displaying mobile ads and mobile editorials inside your mobile applications. Today users expect the same high­quality experience regardless of device and if they don't get it, they blame your brand. This is why we use Akamai number 1 CDN world wide to display your ads. The Android SDK v2.0 allows tracking installations, displaying mobile ads and mobile editorials inside android applications. The current version of the Android SDK is compatible with Android 2.3 and above. The iOS SDK v2.0 allows tracking installations, displaying mobile ads, and mobile editorials inside iOS applications. 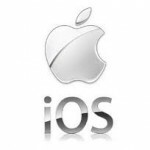 The current version of the iOS SDK is compatible with iOS 4.3 and above. the Android Unity Plugin v2.0 allows tracking, displaying mobile ads, and Editorials inside android and iOS applications developed by Unity. The current version of the Unity Plugin is compatible with Android 2.3, iOS 4.3 and above. This page was last modified on 2 October 2013, at 08:05. This page has been accessed 16,059 times.